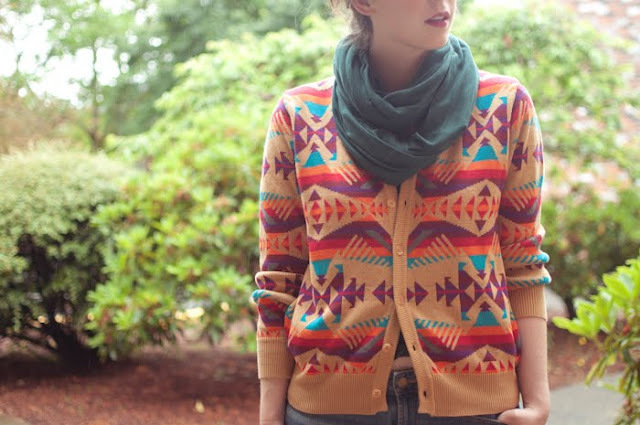 Pendleton Meets Opening Ceremony cardigan for sale! The winter transition and darkness has hit me a bit hard in blogging land since there is rarely light to take outfit photos anymore, but I have some posts up my sleeve coming soon, I promise. But...the point of this post is that I am selling this lovely Pendleton Meets Opening Ceremony sweater! It's a great sweater, but the colors just haven't been meshing with my current wardrobe, I'm sure all of you know how that goes. It's a loss for me, but possibly a gain for you! I don't have a cute little etsy store to sell it through, so you can find the listing on eBay at the below link. The auction ends tonight so bid away if you like it! 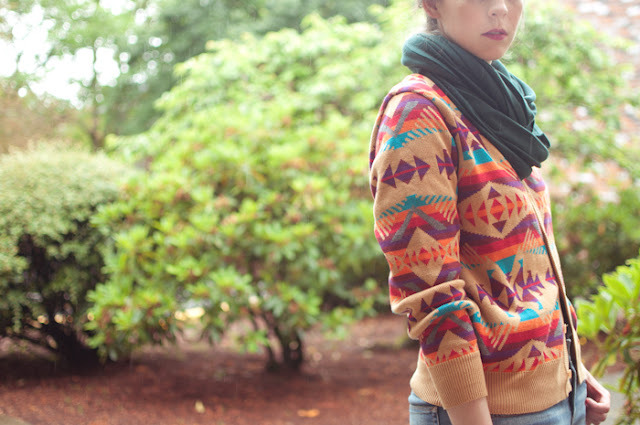 Pendleton Meets Opening Ceremony sweater on eBay!